Extension column and ceiling plate are required and must be ordered separately. 1. Centris Fingertip Tilt: Effortlessly adjust display using Centris fingertip tilt technology. Screen angle stays set until you decide to re-adjust. locked in place for easy connect/disconnect. Supports optional security by adding a padlock. 5. 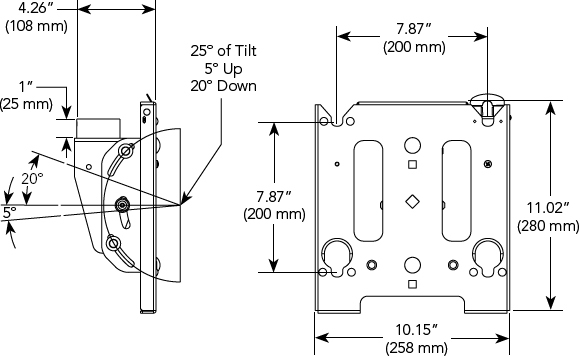 Cable Management: Easily route cables through 1-1/2” NPT extension column. 6. Screen angle can be tightened down for public applications. 7. Q-Latch mounting system for quick connect/disconnect. 8. Custom and universal options available. 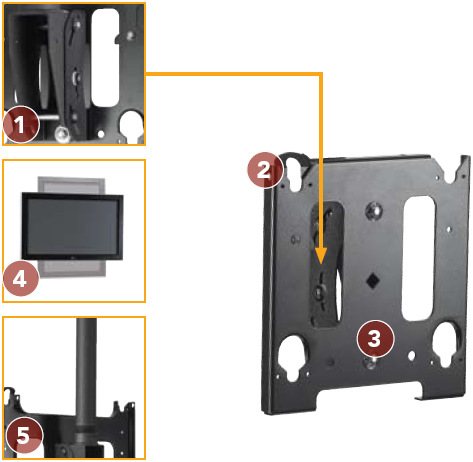 The MCS provides hassle-free installation for a ceiling-mounted flat panel display and is a great option for digital signage installations.